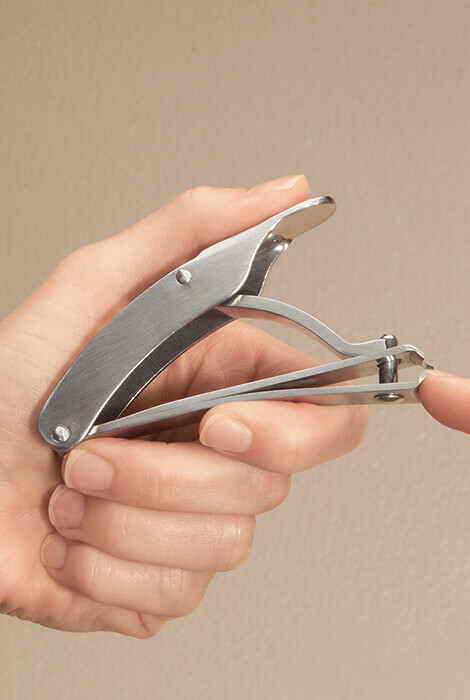 Get a helping hand when clipping even the toughest nails. Clip-Right® Ergonomic Nail Clipper features a hinged lever design that squeezes at the nail end, resulting in greater control and precision. Instead of using the thumb and forefinger, this nail cutter is easy to gently press down using the palm of either hand, for safe cutting of fingernails or toenails with less effort — perfect for anyone with limited dexterity. 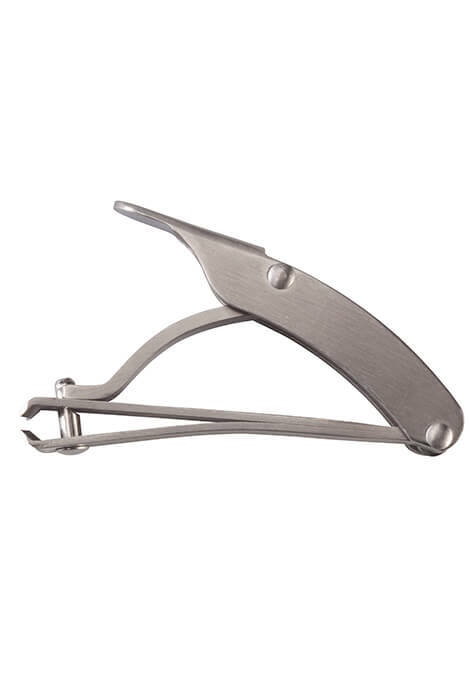 Durable stainless steel clippers features extra-sharp cutting edges and a fold-down handle for easy portability. Perfect for anyone with limited dexterity.